It's 12am in San Diego and you are awake and hungry, but you don't want Mexican or fast food. Where do you go? 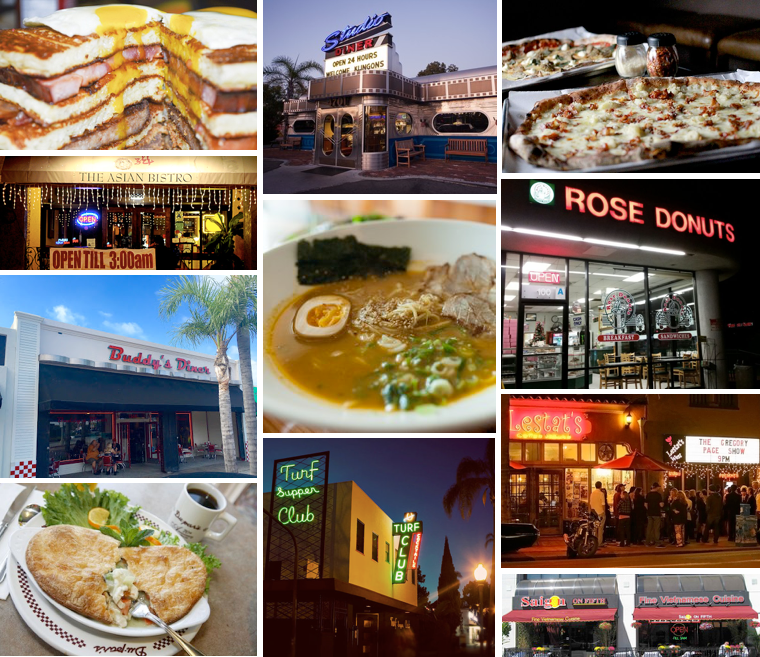 This is frequent conundrum takes place night in and night out in America's Finest City, so we decided to round up all the best late night dining options available. From diners to steaks, to Asian eats and pizza, here is our list of more than 15 spots to satisfy those midnight cravings. Lestat's (Normal Heights, University Heights, Hillcrest) - All three locations - Lestat's Coffee House in Normal Heights, Lestat's on Park in University Heights, and Lestat's Hillcrest - are open 24 hours a day, serving a variety of French-inspired sandwiches, salads, quiche and coffee at all hours. Tajima (Kearny Mesa, Hillcrest, East Village, North Park) - This burgeoning ramen empire keeps popping up locations around San Diego. There are 2 locations in Kearny Mesa, one in Hillcrest, one in downtown San Diego, one in North Park, and outposts in Tijuana and Long Beach. The owner also recently opened a beautiful social dining restaurant named Cloak & Petal in Little Italy. Most of the locations offer late night dining on the weekends, with the Hillcrest spot open latest - til 3am on Fridays & Saturdays.